Great graphics. The right character count. Thought provoking content. A strategically placed link, perhaps a shortened link. The right call to action – not too general, but not too specific. These are just a few of the elements that contribute to the ideal Facebook post. And as consumers begin to demand more of all of their information, these elements are likely to change or evolve in importance and priority. 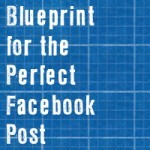 Today’s infographic focuses on a plan for building the perfect post – what do you think? Chief! 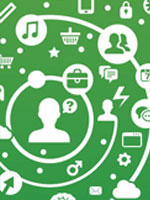 Marketer recently released results from their widespread survey on social media trends in 2013. The survey helps marketers to identify trends between B2C and B2B usage, the frustrations with social media and the reasons for relying on it. So what’s driving the adoption of networks like LinkedIn, Facebook, Pinterest and Twitter?